Striking the right balance with your email marketing is vital to the success of your online marketing in Calgary. Your prospects are naturally wary of spam messages, so offering real value is a must. It’s equally important to make sure your messages don’t look like spam. People will be much more likely to open your email marketing if they can tell that it came from a reputable, professional source. 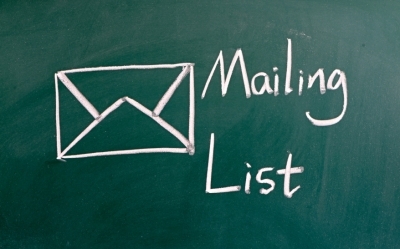 Sending effective marketing emails isn’t all about avoiding the spam filter, however. Email marketing is an opportunity to connect with prospects, and show your professionalism, expertise, and personality. By understanding your audience, you can craft email marketing that they’ll look forward to opening. Let’s take a closer look at how to create effective email marketing that meets the strong standards set forth by Canada’s anti-spam regulations. The penalties for Canada’s anti-spam laws that went into effect on July 1, 2014 are quite strong, applying to a wide range of digital communication tools in addition to email. The good news is that compliance is straightforward, and you likely have most of the ingredients in place already. The following three-step compliance process applies to all designated commercial electronic messages (CEM), including email, text messages, and social media interactions. The first step is obtaining consent to send email. Since much of your email marketing list will come from people who fill out forms or make purchases on your website, it’s easy to ask for consent as part of the sign-up and check-out process. You also need to provide information about your identity. This is a simple one, since it rarely makes sense to send a legitimate marketing email without letting the recipient know where it’s coming from. Finally, you need to provide a clear, easy option to unsubscribe. It always hurts to lose members of your email list, but it’s a much better alternative than keeping them there against their will. Now, it’s time for the fun part. Email marketing thrives on creativity, and the delivery of timely, relevant information to your prospects. It’s also a great opportunity to follow up with prospects who have filled out forms on your website, and turn those people into qualified leads. If you want your email marketing to make an impact, it has to pass through the spam filters first. Getting “whitelisted” is the best way to ensure that your email reaches its recipient. Being whitelisted basically means that you’ve received permission to send email to that recipient, so it’s also useful for adhering to anti-spam legislation. The easiest way to get whitelisted is to provide the recipient with instructions for how to add your address to their email contact list. You’ll also want to establish the right email cadence, and stick to it. If you say you’ll send one email per week, don’t start sending more than that without asking for permission. The people on your email list are not a unified group. It’s important to segment your list, so that the right messages reach the right people. If you want to create memorable email marketing, it helps to understand the most successful email personalities. Getting the small details right makes a big difference in the overall presentation of your marketing. Do you need a newsletter, or will shorter, quick-hitting content better serve your readers? It’s important to understand the type of content that your audience is looking for as you develop email campaigns. Canada’s anti-spam legislation is robust, but it also fits quite comfortably into the process of creating successful email marketing. It’s always a good idea to ask for permission to email, identify yourself, and offer an unsubscribe option. After that, it’s all about understanding your audience, and crafting messages that speak to their needs, wants, or interests. When you meet expectations and consistently send valuable content, your email list will become one of the most valuable online marketing resources in the toolbox of your Calgary business. Need a hand planning your next email marketing campaign? Emphasize Design offers email marketing that will help you convert more leads, as part of our online marketing packages. Grow your Calgary business with our comprehensive online marketing services! PreviousPrevious post:The Most Successful Website Designs for Building Your BusinessNextNext post:How Often Should I Update My Website?